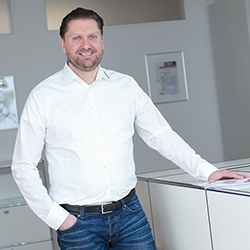 Cambridge, United Kingdom, February 08, 2018 --(PR.com)-- Aniken Graphics International LLP, a joint venture between Hamillroad Software, a UK based prepress software solutions company, and Apex International, a global leader of anilox and metering products, have announced today that Carl Ostermann Erben (COE), is approved as a trade shop to supply plates made using Bellissima Digitally Modulated Screening DMS to the German label market. COE is one of Germany’s leading prepress companies providing a full service including the manufacture of high-quality plates, sleeves, and screens. COE customers can expect to receive excellent solutions for the most demanding printing challenges. COE provides a one-stop offering and their team of 60 experienced employees in their Bremen and Stuttgart sites guarantee a prompt, quality service. Their national and international customers include quality-conscious label printing shops, packaging printers, brand owners, and pharmaceutical companies. “COE is well known by its customers for being a provider of the latest technologies available in the market. We see Bellissima as a great tool and fitting to our customer’s needs. We are very excited to be part of Phase One. We have seen that Hamillroad consists of a team with vast knowledge and enthusiasm and this is more than encouraging to be part of something that new,” describes Michael Halfar, Business Development Manager at COE. “Phase One sales of Bellissima DMS involve the use of Apex GTT aniloxes, and MacDermid or DuPont plates as this proven technology solution works ‘out of the box’ and maximises everyone’s success when used,” Harvey concludes. Printers wishing to test the technology can enquire via the dedicated bellissimadms.com website. Alternatively, they can contact their local Apex sales representatives or the trade shops for their specific regions. Working optimally at 4,000 dpi, the patented screening includes features such as 100% solid surface patterning options and solid object protection. Common printing press issues such as bounce, barring and slur are all reduced significantly and in some cases eliminated. Bellissima DMS also delivers on ink savings, which can be augmented by GCR based software, improves the efficiency of the press room, and utilizes existing printing press equipment. Phase One sales of Bellissima DMS includes trade shops, converters and flexographic printers currently using Apex GTT anilox rolls and sleeves together with MacDermid Graphics Solutions’ LUX® ITP™ 60 or DuPont’s EFX plates. Hamillroad Software is a global supplier of software solutions for the prepress industry. Hamillroad solutions help customers save time and money during all stages of the printing process whilst also improving the final printed image fidelity. Hamillroad Software specialises in Digitally Modulated Screening which provides unparalleled screening technology for Lithographic (Auraia DMS) and Flexographic (Bellissima DMS) printing. The FirstPROOF solution allows users to simulate errors which may occur on press before plates have been made. It helps users save valuable time and money during the pre-press process. COE is one of the leading German companies for providing a pre-press full service and manufacturing high quality plates, sleeves and screens. Customers can expect solutions and service for the most demanding of printing challenges, the most unusual designs and orders at very short notice. A one-stop solution - just in time. Whether customers require plates for flexo or book printing, endless and seamless photopolymer and elastomer sleeves, Screenies: around 60 experienced employees in our Bremen and Stuttgart sites guarantee top quality and prompt service.